Lincoln County is governed by a Board of County Commissioners, consisting of three elected members who serve six-year staggered terms. All legislative, executive and administrative powers and duties of the local government not specifically reserved by law or ordinance to other elected officials resides in the Commission (MCA-7-3-401). The current Board of County Commissioners includes Mike Cole, Jerry Bennett and Mark Peck. Under such limitations and restrictions as are prescribed by law, the Board of County Commissioners has jurisdiction and power to represent the County and has care of the County property and the management of the business and concerns of the County and to perform all other acts and functions which may be necessary to the full discharge of the duties of the chief executive authority of the county government (MCA-7-5-2101). Mark Peck is a Libby native who currently works as the Libby Unit Manager for the Montana Department of Natural Resources. He is a retired active duty Air Force veteran with 20 years of service. 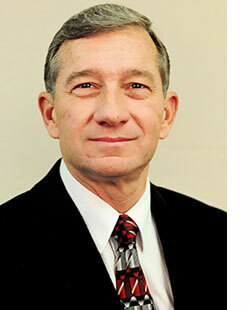 Mark also served for four years as the Director of Emergency Services for Flathead County and 2 1/2 years in the private sector, managing a consulting firm. Prior to his private sector service, he served two years as the Quality Assurance And Security Manager for the Montana Department of Corrections. Jerry Bennett has lived most of his life in Lincoln County, while being born in the territory of Alaska, he returned to Lincoln Co. as soon as he could. Having deep roots established in the county from his grandfather and father working for J Neil’s Lumber Co. to entering the logging industry after graduating from Libby High School in 1974. Jerry and wife Malia have been married for 40 years, and have two children, and eight grandchildren. Jerry has owned and operated several businesses, and been heavily involved in community events and organizations over the last forty years, as well as serving in the state legislature for eight years. He is grateful for the opportunity to serve as Lincoln County Commissioner for Dist. 2, and looks forward to giving back to the county that has blessed his and his family’s lives. 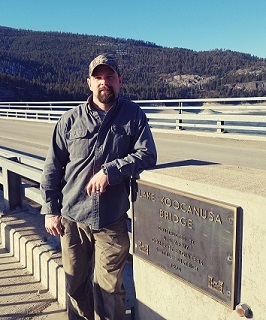 Josh Letcher was born and raised in Lincoln County, graduating from Lincoln County High School and attended Flathead Valley Community College. He has worked in a multitude of fields including timber, oil, construction and real estate; owning and operating his own business for over 15 years. 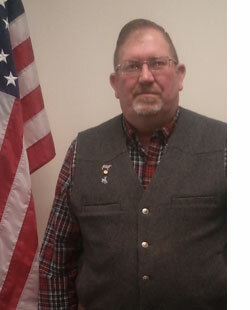 He has served on several boards including the Tobacco Valley Rod and Gun Club, Lincoln County Planning board, and the Lincoln County Local Government Review Board. Since he was younger he’s had an interest in public land use and resource management. Commissioner Letcher and his wife Tara have three children and as Commissioner for District 3, he looks forward to making Lincoln County great again.